1. Make them drink cold liquids frequently especially water. 2. Make them wear loose clothing. 4. Have an adult help keep him refreshed in the back seat. 5. Use a car seat cover when getting out of the vehicle. 6. Open all windows if you’re just getting into your vehicle but haven’t pre-cooled it. 7. Put a cold towel on him. 8. Cars heat up fast so never, ever leave them in the vehicle not even for a few minutes. Even in areas where it’s regularly humid, you can never get used to the heat. Mind you; I love sunny days. It always reminds me of fun outdoor outings and of course, beach trips. But it’s an entirely different story when your kid is likely to suffer from heat exhaustion and even dehydration. 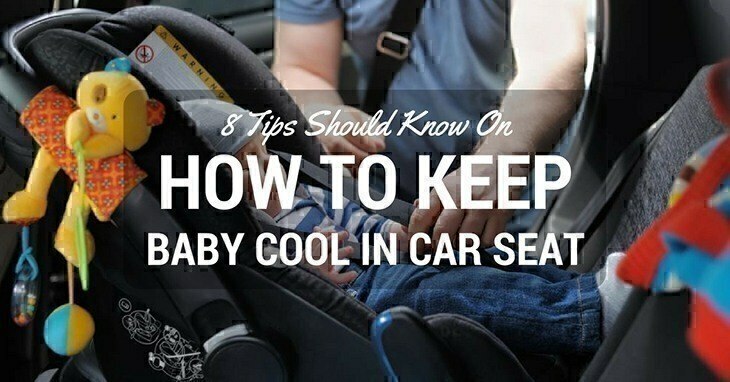 Regarding how to keep baby cool in car seat or car seat stroller, it’s a common question from parents. More often than not, air-conditioning may not be a sufficient solution especially when it’s a long drive under the blazing heat of the sun. It’s more than just discomfort and sweating. Heat exhaustion, which can progress to sunstroke, can be life threatening and as always, prevention is better than cure. Infants and toddlers do not sweat as much which puts them at higher risk. You may also need to watch out for young children who are not used to high temperatures. Watch out for the weather. If it’s just for an errand to the grocery or something which isn’t exactly necessary, try postponing when the weather has cooled. But if you have to travel on a hot day, you can start driving early in the morning to at least minimize exposure to extreme heat. It’s difficult to be on the road at the hottest time of the day (usually noon to early afternoon). When driving for more than an hour, do research where you can stop over. When going for long drives, I try to scout for convenience stores, diners, gas stations or anything on the roadside where you can find sufficient air-conditioning and shelter from the sun. Even adults get exhausted from too much heat, what more the kids? Besides, it’s also a fantastic way to get a good stretch and have a quick bite before hitting the road again. Double-check the status of your air-conditioning. It's one of the most important things to remember, but it’s also the easiest to overlook. Just the other day, we noticed it wasn’t as cold inside the car anymore, and we could hardly feel the cool air from the air-conditioning unit. It turns out; it only needed some maintenance check-up to get it going and functioning again. You see, when you’re excited about a vacation, it’s common to forget these little details. And you never want to be halfway through your travel sweltering because your air-con is no longer working. Extreme heat can cause dehydration, and it’s dangerous for kids. Have a tumbler or sippy cup ready and put it beside their car seat. If your little one can’t drink by himself, ask his sibling to help with his periodic sips. It can have a huge effect on his body temperature. It doesn’t matter if it makes him frequently urinate (it could be a bit of an inconvenience if he’s no longer wearin﻿﻿﻿g a diaper and you need to stop now and then) but that’s nothing compared to the consequences of being dehydrated while still exposed to extreme heat. Of course, it's obvious he won’t be wearing layers of clothes or even long-sleeved tops but also try to go for light-colored fabric. For my son, I would dress him in a breathable outfit – a muscle tee and cotton shorts. I don’t put on socks or anything unnecessary. You may think this doesn’t do much, but it can go a long way when he’s starting to sweat. There are several benefits to doing this. First off, there are those tints which help block UV radiation, so I suggest you opt for this. Second, it can shield the driver from the glare of other car lights and the sun. And if you choose a high-quality tint, it can reduce the heat inside your vehicle for up to 60% which is extremely beneficial if it’s way too hot inside. It can be your significant other or an older sibling. What I would do whenever my husband’s driving is I bring a USB mini fan which I have to plug into a power bank. It’s just a little larger than my hand, but the propellers work well in providing some refreshing air. Of course, it’s not as effective as the regular-sized ones, but at least it can minimize heat. Just make sure to keep it away from your child’s reach. If you’re stopping over at gas stations or roadside stores, don’t forget to do this even if you have sunshades spread out already. The pads and cushion can heat up just like the regular seats in your car. And the hot buckles in his harness might scorch him too. If you forgot a cover, look for any fabric you can use to shade the car seat from the sun. If you can, try parking in a shaded area. When we are almost ready to go, my husband would be the first to go inside the car and turn on the air-conditioning. But if you’re all already there, and there’s no time for pre-cooling, open the windows to neutralize the heat and allow the air to go inside, avoiding turning it into an instant sauna for all of you. If it’s still hot and he’s starting to look cherry red, you can put cold water into any clean clothing, remove the excess water and put it on his skin. I prefer putting it on his thighs or underarms so it can rapidly absorb some of his body heat. Remember when you do a tepid sponge bath on your child when he has a fever? Yep, it’s the same objective. You need to lower his temperature. I’d like to put emphasis to this. 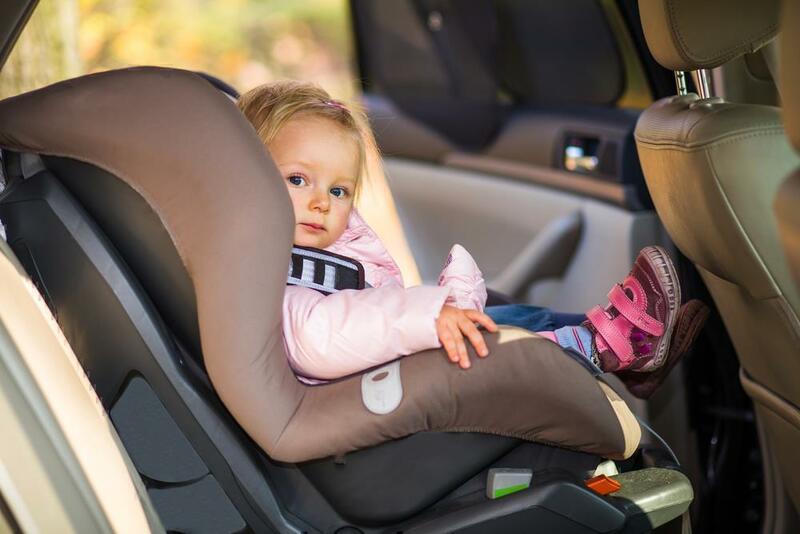 Many times for the past couple of months, I read about parents leaving their toddlers or young children in the car because they needed to do a quick stop. The little ones either ended up unresponsive or dead. The thing is, a young kid’s body can warm up 3-5x faster than yours. It’s a fact. They can experience hyperthermia in as little as 15 minutes so if you’re stopping over during the ride, take them with you always. 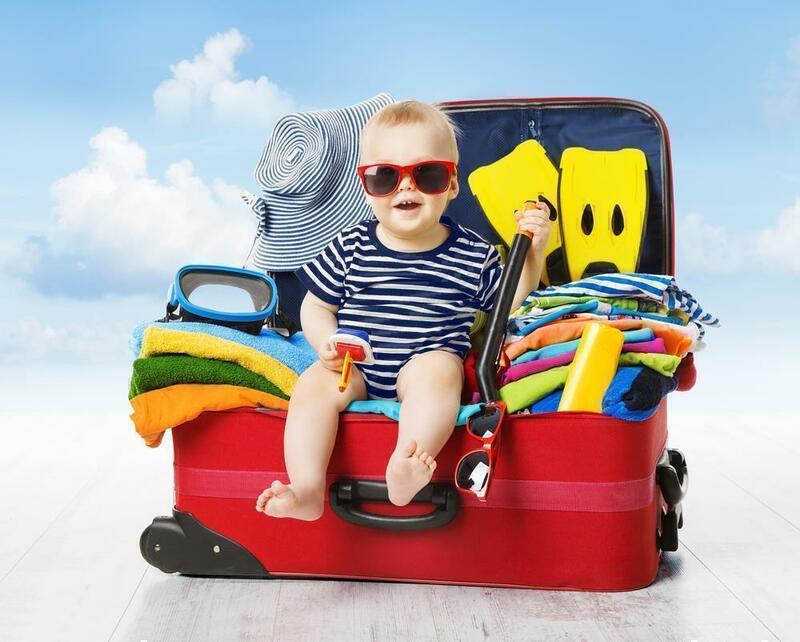 These are simple steps but can make a huge difference in lowering your baby’s body temperature when traveling by road. Infants, toddlers and young children in hot cars can be extremely dangerous. From dehydration to heat exhaustion and sun stroke, these are conditions which can be deadly. It’s important to do everything you can to avoid your little ones from going through any of it. Do you have any more tips? Share with us in the comments.